This listing is for the broken and opened boxes of Holle stage 2. At first, I was hesitant to order the open box items, but I've done so several times and have been more than happy to save a little money. 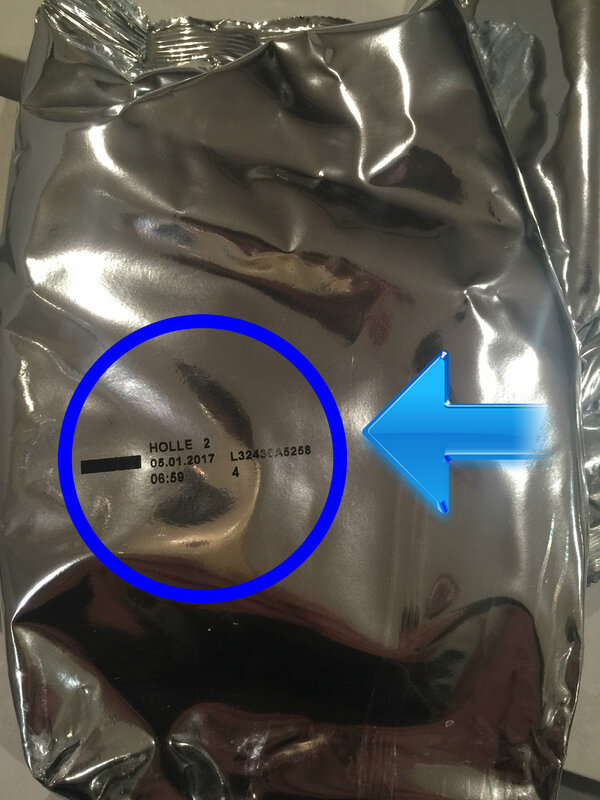 The product sometimes arrives in damaged boxes and other times it's just the sealed silver pouches and scoops from inside the boxes - always still sealed with expiration dates far in the future. Since I usually can't order in larger quantities to get the cheaper prices, this method works well to get a similar price for smaller quantities. If you are looking to buy less than 9 boxes of Holle stage 2 but dont want to have to pay more this is the way to go! Budget friendly and comes with the scoops (run them through the dishwasher of course) and the bags are totally sealed! I was a bit reluctant at the first thought of buying formula out of the box but now Im glad I did and will be buying more whenever its available.